The Wrap reported earlier today that Martin Freeman, likely one of the most recognizable Brits outside of it's shores thanks to roles like Watson in Sherlock and Bilbo Baggins in the Hobbit films, has joined the cast of Marvel's Captain America Civil War. Marvel made the announcement today though they have not revealed what Freeman's role will be. There is some speculation out there that it will be a government role and that Freeman will appear in more than one Marvel film. 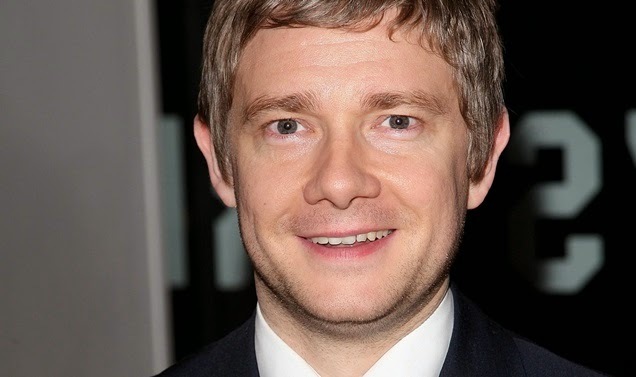 "From his roles as Bilbo Baggins and Doctor Watson to Tim in 'The Office,' Martin's range from the dramatic to the comedic has consistently impressed us," said the film's producer and Marvel boss Kevin Feige. "We couldn't be more honored or excited to have such a talented actor join the Marvel Cinematic Universe."